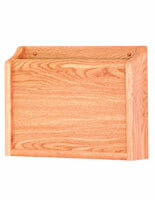 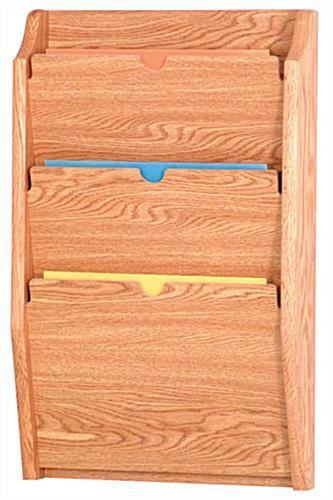 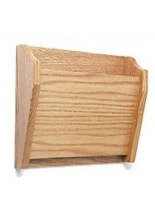 These wall file holders with light oak finish are designed with three pockets for storage. 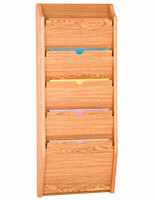 Each chart rack is made to be HIPAA compatible for use in doctor's offices and hosptials. 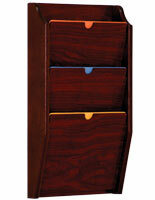 The multi-tiered holders are made for files and folders. 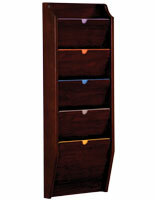 Each 24" tall shelf is crafted from durable wood for years of use.